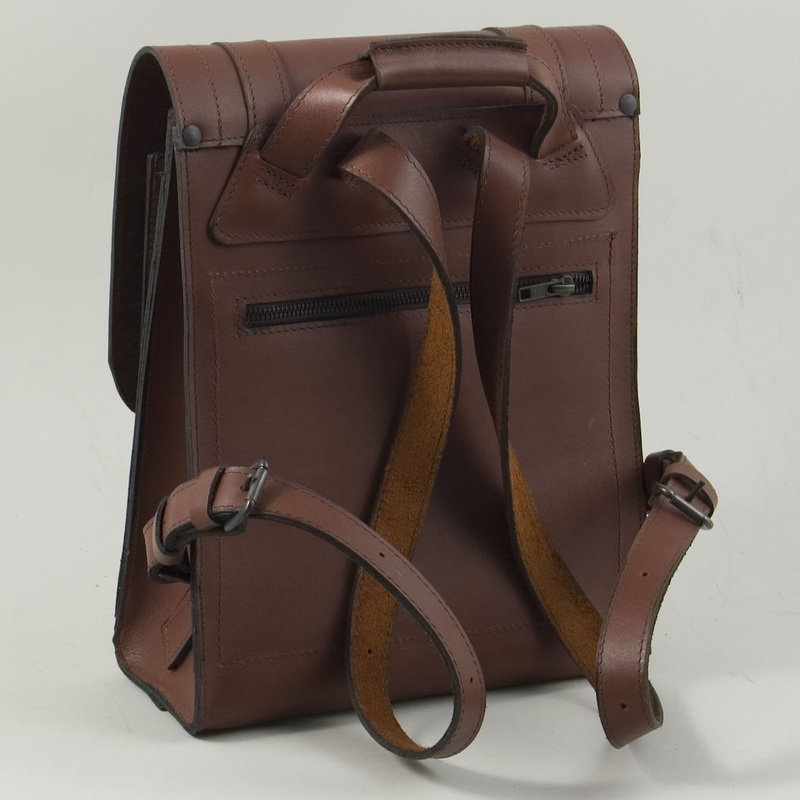 The small bookbag can be seen as a ‘portrait’ orientated small satchel but with rucksack straps. 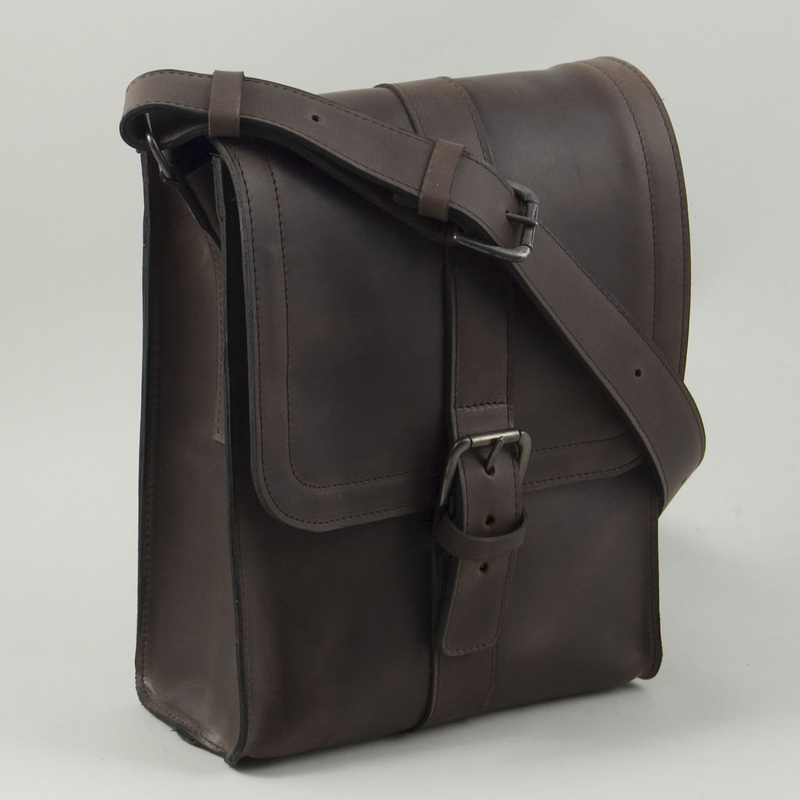 Henry makes them from the same fullgrain leather and robust construction as the rest of the satchel range. Not roomy enough for a conventional laptop but can accommodate the iPad and A4 paper (but not an A4 file). There is a zip sleeve on the back of the bag to keep valuables out of reach from sticky fingers in crowded places when the bag is on your back. 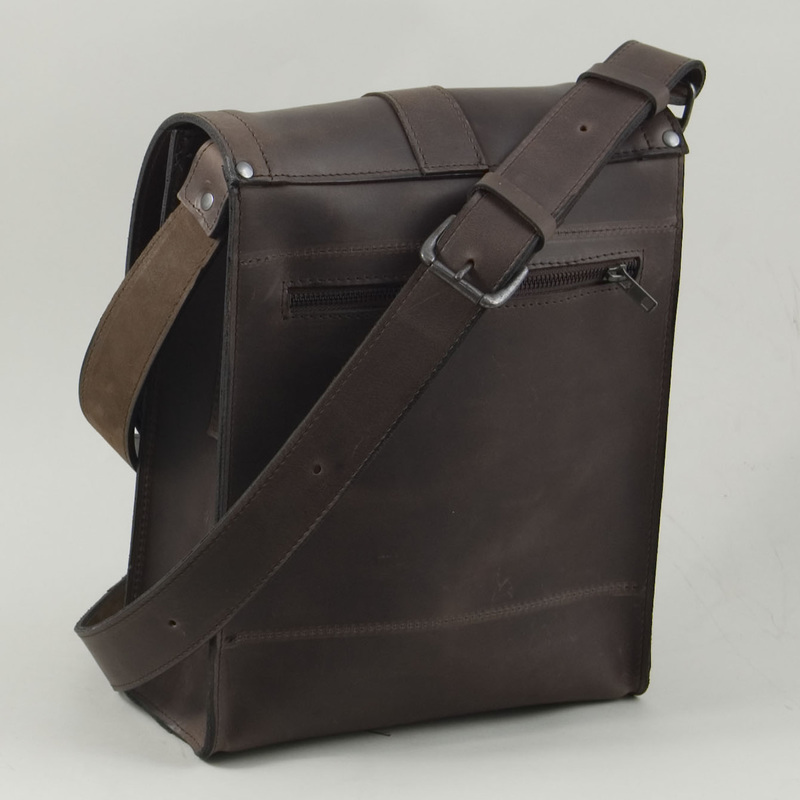 The basic bag is an empty shell with a single front buckle closure, rucksack straps, grab handle and back zip sleeve. If, however, you want to customise the design by adding one or other add-on option, the price would change accordingly. You can specify any changes you want in the ‘queries/requests’ box in the order form which Henry will confirm by personal email. Double front buckle + £25. Front pocket feature including pen slots, phone pouch and internal zip pocket + £40. 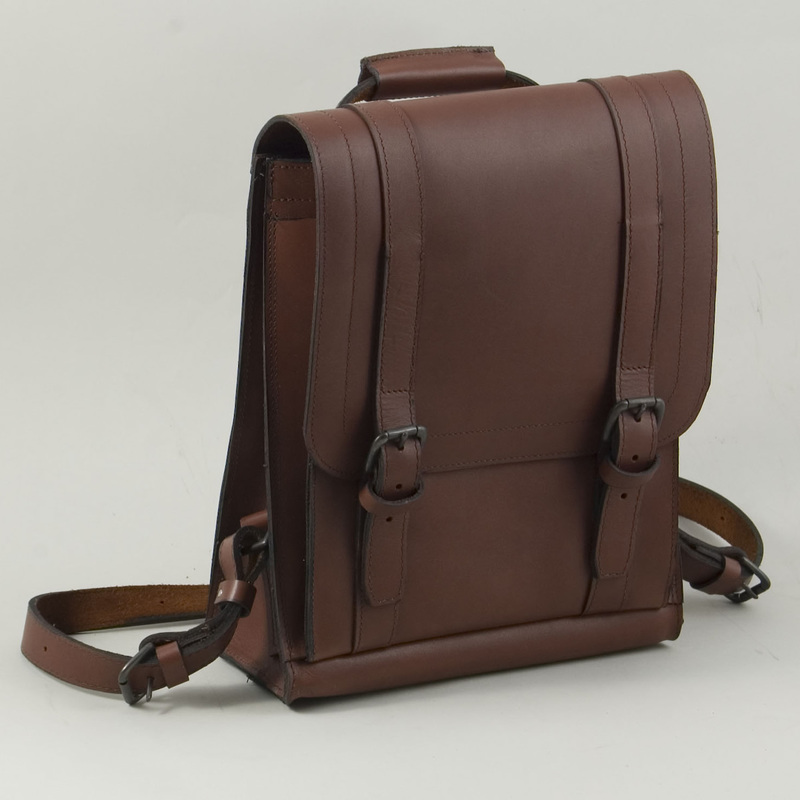 Satchel style shoulder strap replacing rucksack straps and grab handle. £5 LESS!